Well not exactly 'discovered' but I only heard this young man sing very recently. Hes been around for a bit, having released his first album in 2005 when he was 18 years old. I admit his name made me think he was a by product of the Simon Cowell school of music, cheesy and poppy but a good looking young Italian boy... I made up my mind without listening to him sing. I heard him sing earlier this year on the Graham Norton Show, a song off his third album and I was more than pleasantly surprised at the funk feel of the music. His voice made me sit up and take notice, and hearing him speak in that lovely lilting Scottish accent, I was smitten! 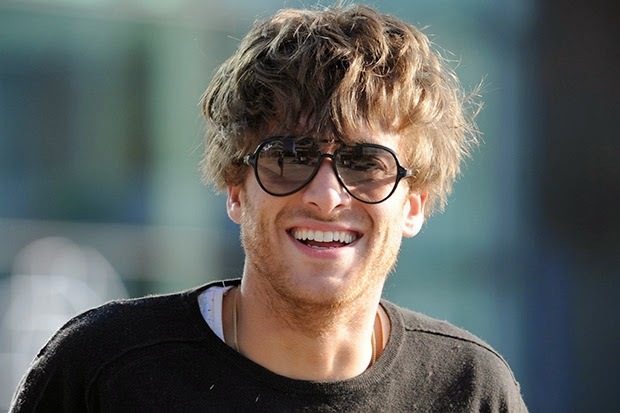 Paolo Nutini the half Italian Scotsman..
My pre conceived notions stopped me from listening and appreciating a young singer with bucket loads of talent. This song is part of my morning commute playlist.......Better Man...... click Here and listen. The song reminds me of that movie with Jack Nicholson where he says to Helen Hunt "you make me want to be a better man"
I am sure a lot of women will agree with me when I say that those words are probably the best thing any man can say to a woman.